Diamond style and luxury performance – the GROHE Allure Brilliant single-lever bath trimset! Cool minimalism meets cutting edge technology! With a confident faceted design that exudes architectural appeal, the single-lever GROHE Allure Brilliant bath trimset with diverter complements any contemporary bathroom. Packed with GROHE’s innovative technology, the tap is a delight to use and comes with a handy diverter to swap between bath and shower. The sparkling GROHE StarLight chrome coating is scratch-resistant and needs only a wipe with a dry cloth to look pristine and new. Use with the GROHE Rapido E (35501000) universal single-lever mixer for concealed installation. Its GROHE SilkMove ceramic cartridge ensures the control of water volume and temperature is precise and effortless. 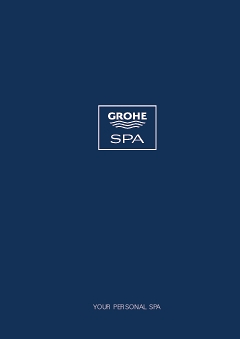 GROHE Allure Brilliant – a touch of class for anyone who wants to combine superior bathroom style and functional perfection!